The history of the Tayrona (or Tairona) began around 2,000 years ago in the northeast corner of Colombia. A major part of their territory is now known as the Sierra Nevada de Santa Marta. 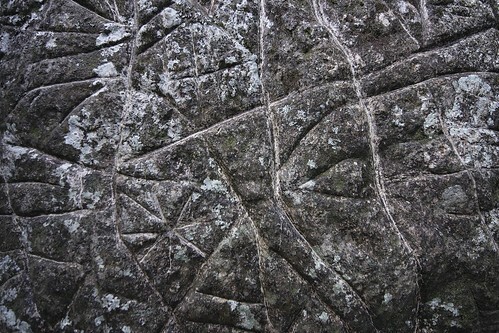 Human activity in the region can be traced back around 6,000 years. 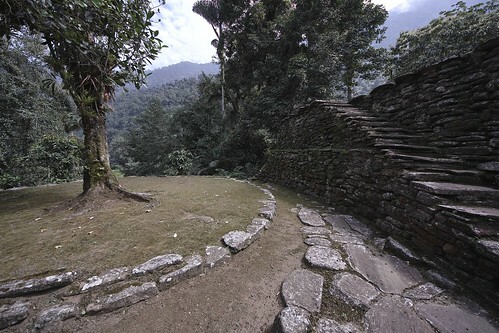 When the Spanish arrived in the 1500s, tension mounted over many years until confrontations between the Spanish and the Tayrona forced the natives to move their settlements higher into the Sierra Nevada mountain range. This move saved them from both the system of rule the Spanish brought to the region and from an unseen killer, disease. Today the descendants of the Tayrona go by the names of the Wiwa, the Arhuacos, the Cancuamo and the Kogi. To the Spanish, the Tayrona were one people. 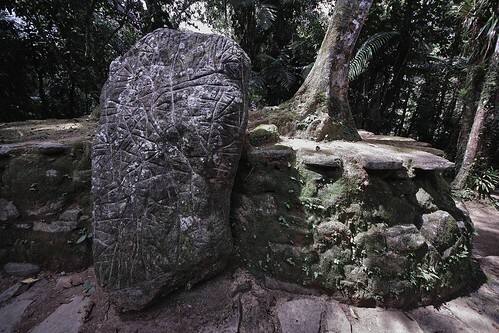 But like populations today there were probably many different groups within what is known as the Tayrona civilization. The word ‘Tayrona’ or ‘Tairona’ can be translated as ‘males’ or ‘sons of the Tiger’. Before the arrival of the Spanish ships the Tayrona flourished along the shores of the Caribbean sea. They created irrigated fields and fishing villages which traded with other villages further inland. As the Spanish encroached, it became harder for the original inhabitants to survive. They moved further into the mountains and the jungle reclaimed years of work clearing areas for cultivation and constructing cities. 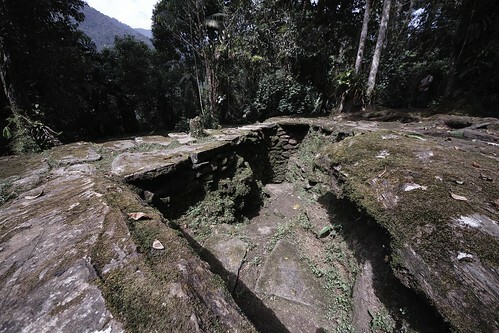 La Ciudad Perdida (Teyuna) is probably the most famous of the Tayrona cities. 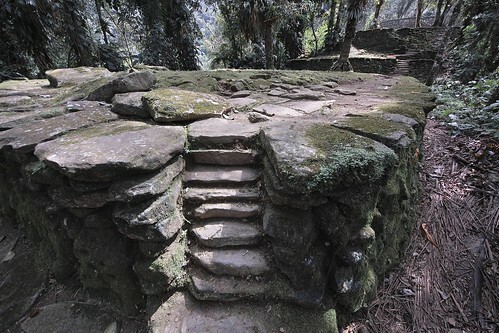 Another site exists on the coast called Pueblito. There may be even larger sites still to find in the Sierra Nevada. All these centers for life were interconnected and performed various functions to maintain and grow the civilization. After beginning with ceramic works, gold became important in Tayrona culture. Only guesses can be made as to the exact significance of various ornaments, which were thought to be worn not only by the elite, but ordinary people as well. According to the religion of the Tayrona people, work should be divided into gender roles. Religious practices existed where men would participate in rituals which would last for days or even weeks at a time. Coca chewing was an important part of these ceremonies, as well as meditation. Some of these rituals still exist today in Kogi culture. 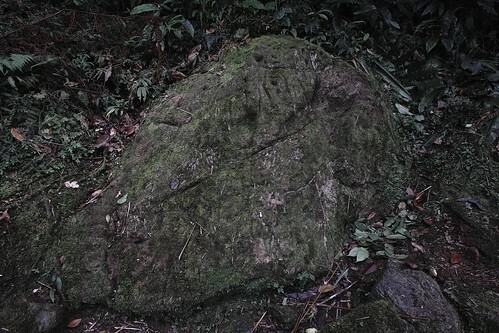 Anthropologists describe them as descendants of the Tayrona. 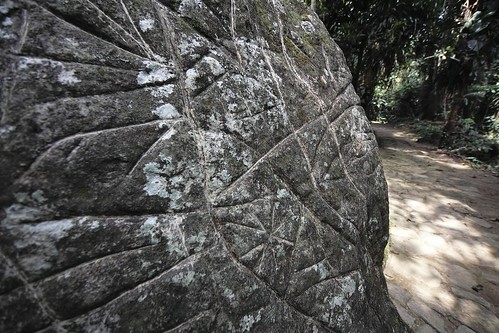 In 1599, the Tayrona rose up against the invaders. The Spanish reported that the natives had killed priests and travellers along the coastal roads. Churches and houses of Spanish leaders were burnt down. The Tayrona chiefs were sentenced to death by the Spanish and their villages torched. Populations were relocated or incorporated into the Spanish advance. 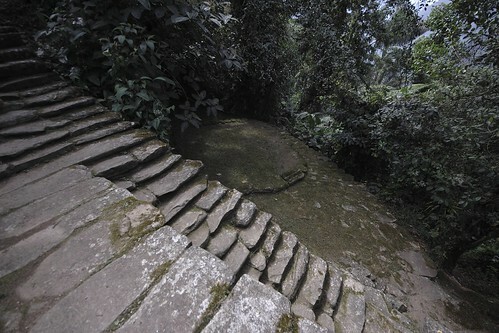 By the mid 17th century many of the settlements had been abandoned. 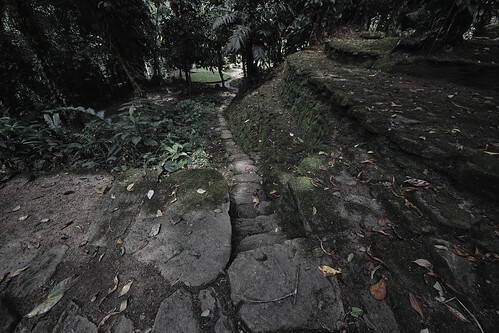 The jungle returned to hide what was left of the Tayrona civilization.